123ink.ca as one of the leading printer cartridges specialist in Canada. Which has been a focus on “Offering cheap and high-quality compatible toners and inks” for many years. And we continuously offer discount and on sale items.Today we would like to recommend Brother TN221 OEM Toner Yellow was sold at $74.99. 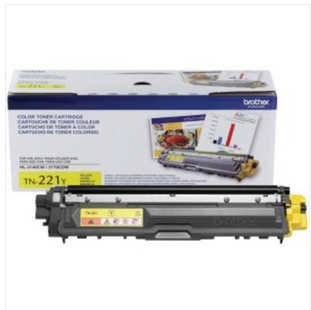 The Brother TN221 is a set of four laser cartridges including Brother TN221C cyan toner cartridge, Brother TN221BK black toner cartridge, Brother TN221Y yellow toner cartridge and Brother TN221M magenta toner cartridge.These Brother toner cartridges ensure reliable, high-performance performance.And one of these is Brother TN221 OEM Toner Yellow, which happens to enjoy the highest admire from customers.Along with printing high page yield up to 1400 pages plus professional-tested for print quality and durability before shipping them to you.it become the popular compatible ink customers choose.Also, no matter from color or other performance, Toner221 will be the deal you can not miss.